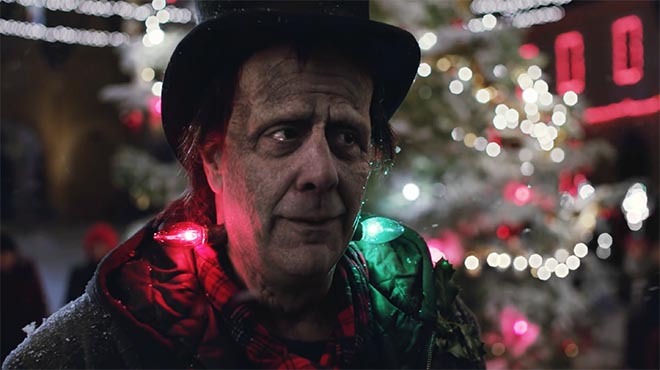 Apple’s two minute holiday ad promotes tolerance and inclusiveness, as an initially frightened community embraces a Frankenstein-like character. 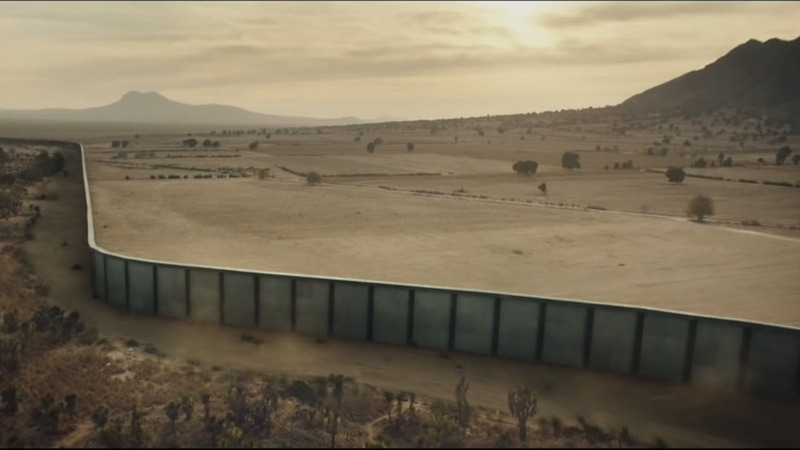 Apples’s “Frankie’s Holiday” played both on television and in movie theaters. 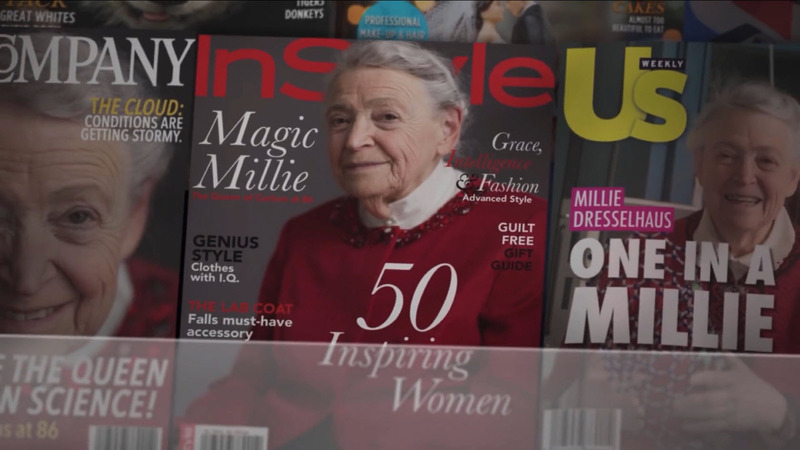 GE: "What If Scientists Were Celebrities?" 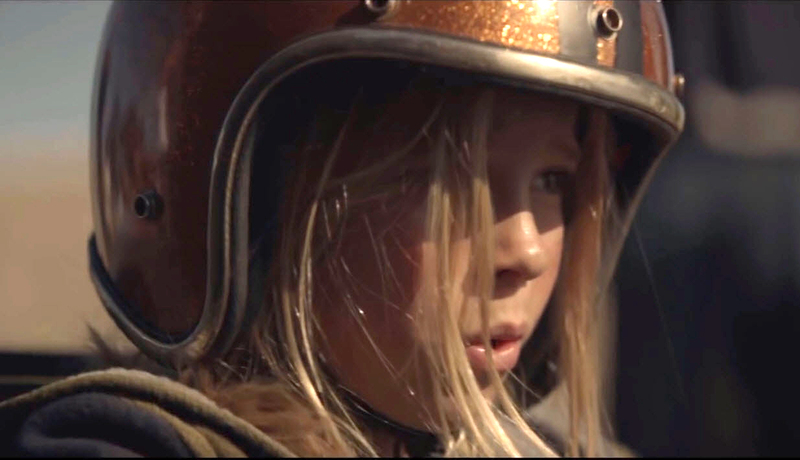 GE’s goal is to employ 20,000 women in STEM roles by 2020 and to #BalanceTheEquation via a 50:50 men-to-women ratio in technical entry-level programs. Mattress Firm supports foster kids (and attracts customers) by conducting year-round, in-store donation drives, collecting: shoes, money, clothing, pajamas, school supplies and holiday gifts. 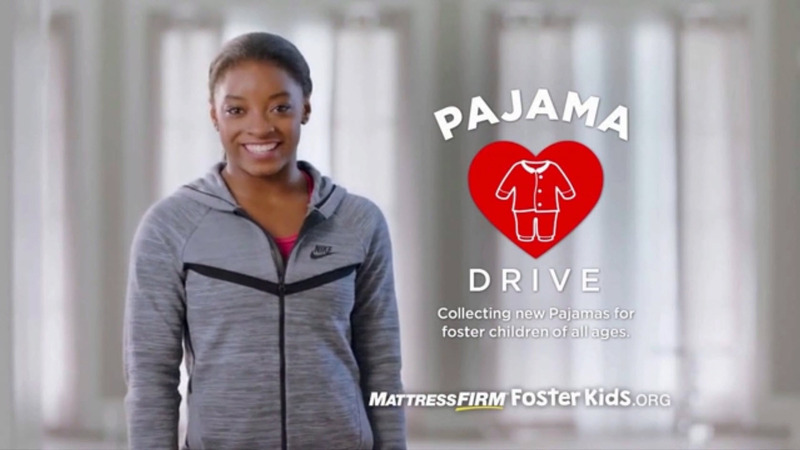 Mattress Firm 'Foster Kids' Campaign: "Pajama Drive"
Mattress Firm is running two commercials in tandem, both featuring Simone Biles: A standard ad AND a cause marketing ad promoting a pajama drive for foster children. Pajama donations are collected inside Mattress Firm stores..